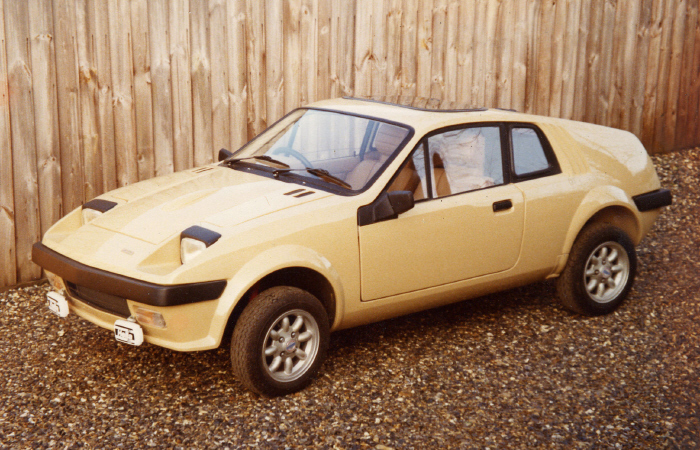 This one-off special built in 1982 was based on a Mini subframe. This shy looking kit car was small with a lot packed into it. It had a 1.4s twin carburetted, tuned Metro engine under the bonnet, with a full through-flow heater system which was unusual. 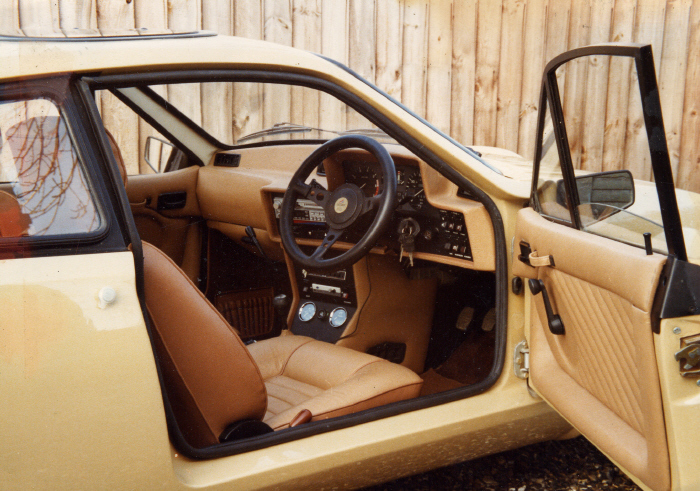 The seats were modified Lotus Elite 504 seats and the dashboard loosely styled on BMWs of that era. 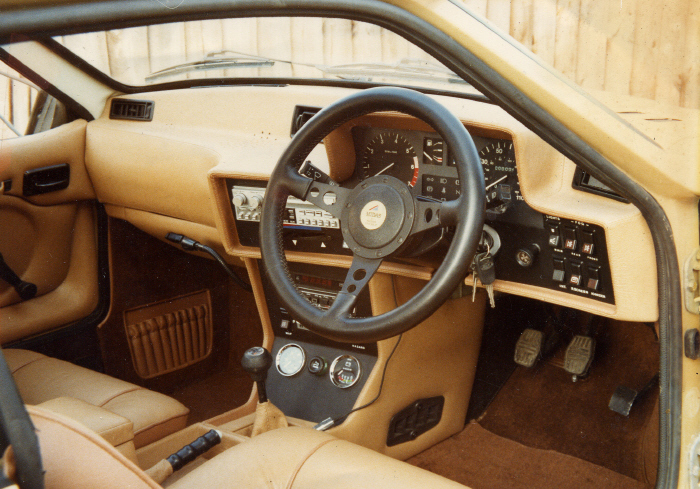 The sound system was ahead of its time, with tweeters and mids built into the dashboard, the subs were mounted in the rear and nothing was visible. With regard to trim, the seat facings were trimmed with hide, with the sides and back in matching PVC. 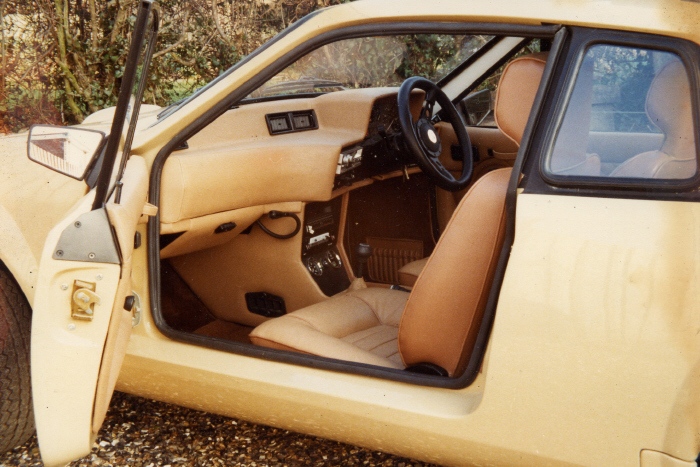 The door panels and dashboard were trimmed in hide with ¼ pitch twin needle seams around the dash and facia. The carpets were wool cut pile and bound in PVC. Once the trim was complete, the stereo and on-board computer installed and engine tuned, the customer still had room for his dog in the rear!